These are exciting times! We at Bethlehem Baptist Church are excited about the mission that God has for us. We exist to reach the lost and teach the saved how to live for Christ Jesus. It is our desire to worship our Creator and Redeemer, instruct the Body of Christ, fellowship with God and one another and be a sweet expression of the love and joy of our Savior! We love our church, and we think you will to. 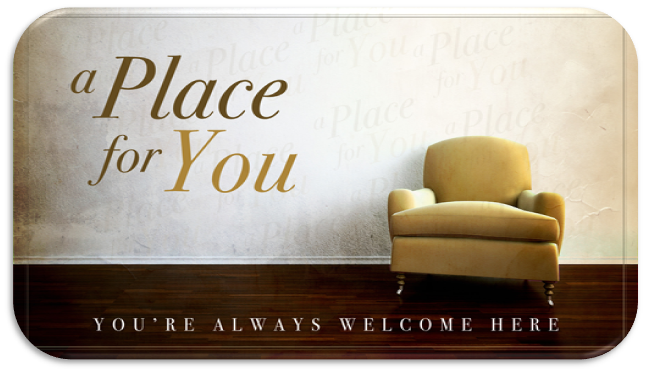 From the minute you arrive, to the second you leave; we want you to feel at home. We strive to have a casual atmosphere and encourage you to come as you are-whether you prefer jeans or more traditional attire- we have it all here. We hope that our fresh coffee & morning snacks, friendly faces, unexpected worship, relevant messages and refreshing atmosphere will allow you to enjoy your time with us. We hope you will take some time while you are here to learn more about us! Please join us for Sunday morning worship. -Maybe you've never been to church before. -Maybe it's been a long time or maybe you've been a lifetime member. Here you will find answers to some of the most common questions we receive have something for everyone! From the tiniest to the oldest, you'll find a group of people that you can relate to and learn more about God within us! We have small group classes on Sunday mornings and even groups that relate to their interests, you're sure to find your niche and fit in around here! Many guests now connect to churches first through their websites, we are so glad you chose to visit us online! You should find all the information you'd like to know about BBC within the site, but if you can't find something, please don't hesitate to contact us by phone or email! Bethlehem Baptist Church is a congregation united in God's love, actively sharing that love with all. As a Reconciling congregation, we believe that all persons are recipients of God's grace, regardless of ethnic background, marital status, sexual orientation, or economic condition. Although we celebrate our differences, our common bond is to help people in the community who are hurting and in need. With an open mind and open heart, we welcome you to Bethlehem Baptist Church. This means we work to help each other see how awesome and beautiful God really is, so that we treasure him and are more satisfied with having and knowing him than anything else. This makes God look more like what he truly is”the most supremely valuable and worthwhile of all pursuits. We hope you will join us in delighting in God together.